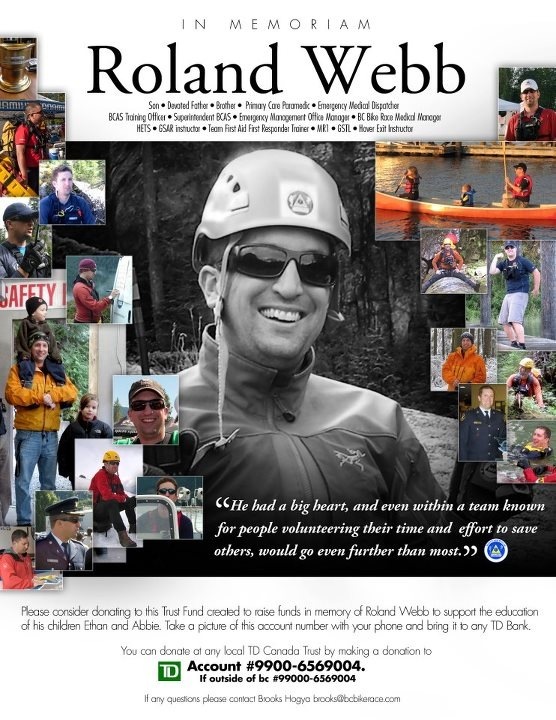 My good friend Rollie Webb was killed in a pedestrian accident in Anmore last Thursday. He was hit by a dump truck in a crosswalk and died at the scene. His dog Finnegan, who he was walking at the time, was not injured. 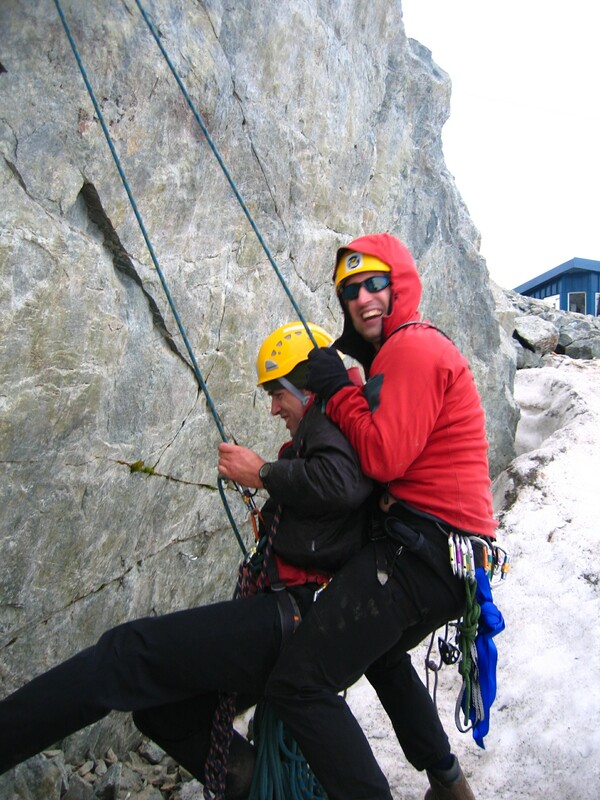 Rollie was a member of my SAR team, having been so since 2002, and that’s how I knew him. 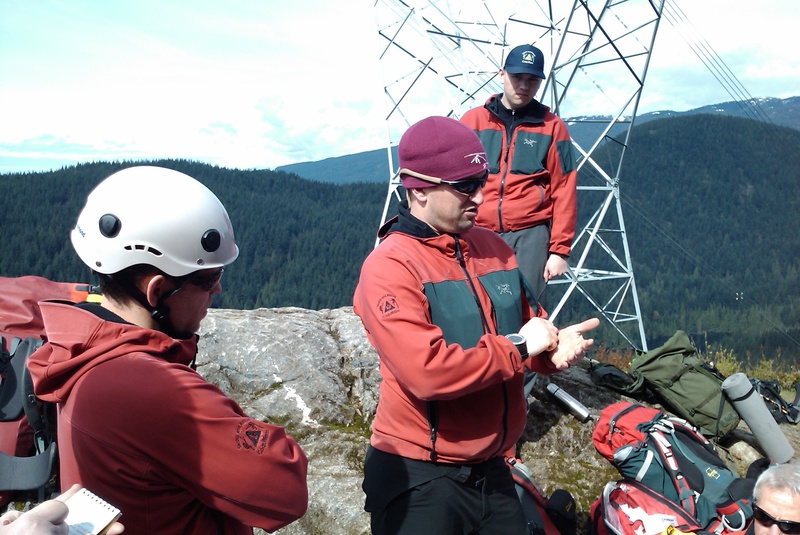 Prior to joining Coquitlam SAR, he was a member of Salt Spring Island SAR (which he joined while posted there as a Paramedic), Surrey SAR and Lion’s Bay SAR. He was what is sometimes affectionately called “a lifer”. I met Rollie on a search many years ago before he joined our team while we were on a mutual aid call to assist North Shore Rescue. That day I spent 8 – 10 hours with him hiking through very rough terrain. 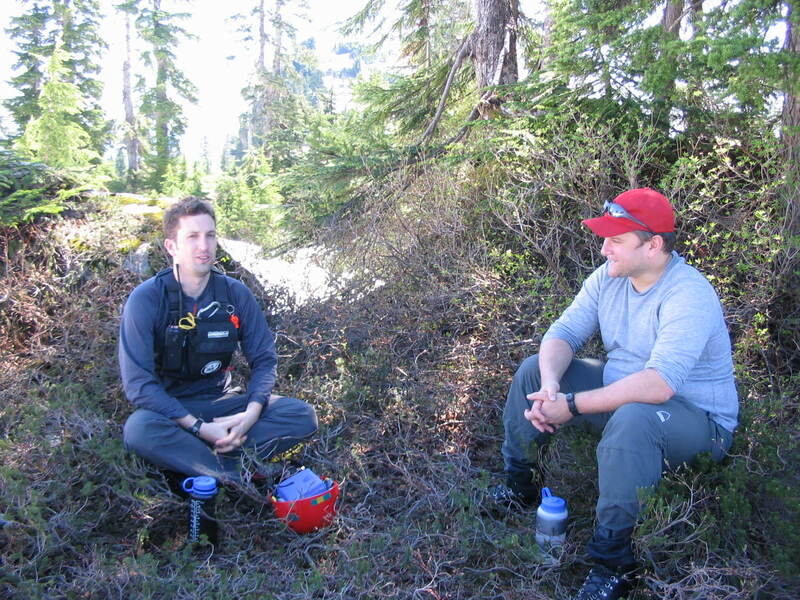 We had been put together with an NSR member who knew his way around, but we still spent a very trying day searching together, and I liked him almost instantly for his friendliness, professionalism, and ability to fit into a team of three people, none of whom had ever met before. A year or so after that, when he applied to join our team I had no reservations; I felt that having been on that one task let me know everything I needed to about whether I wanted him on the team. He was just that kind of person; someone who presented himself exactly as he was with no pretensions. And that’s how I remember it; he fit in, bringing with him insights into how other teams did things and his medical knowledge. SAR members are known for wanting to help others, but some people just go the extra mile and Rollie was one of those. He did the basic stuff that we all do, and then he went further. Since his day job was as a paramedic he immediately became a driving force in the team’s medical preparedness. He taught many first responder courses, and added in AED training, O2 therapy, and taught us how to assist him if he needed to deliver IV Fluids or other medical procedures. I spent many hours being taught by him over the years. 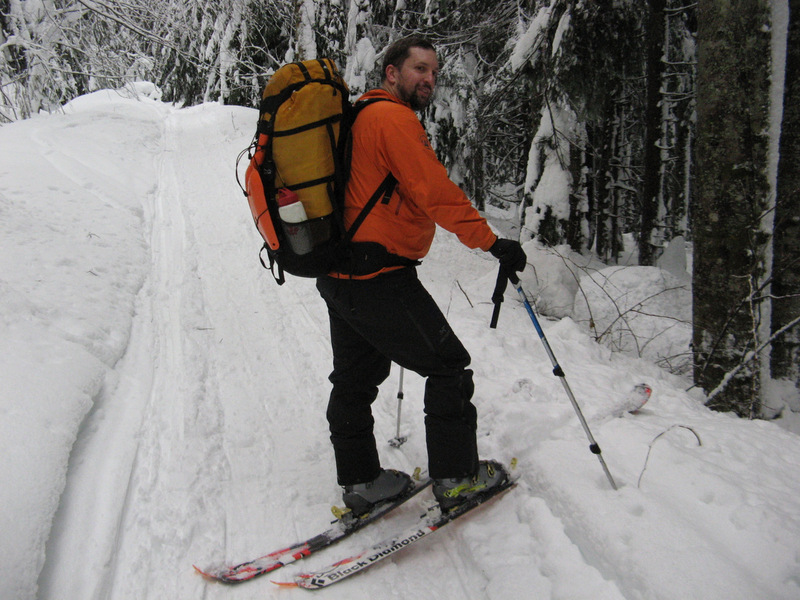 Many newer members of the team know Rollie as one of their Ground SAR trainers, and fondly remember his mentorship. I remember on one occasion we were attending just such a course when a call came in for a medical response to Wigdeon Slough area where a young woman had collapsed. Since we were all at our rescue base, we mounted a response with Rollie heading leading the medical team. It turns out the subject of the rescue had some sort of cardiac event. I ended up flying in the helicopter with the doors off to the site. We hovered close to the ground as Rollie and other members of the team lifted the edge of the stretcher up to me and I pulled it across the back seat of the machine and secured it. 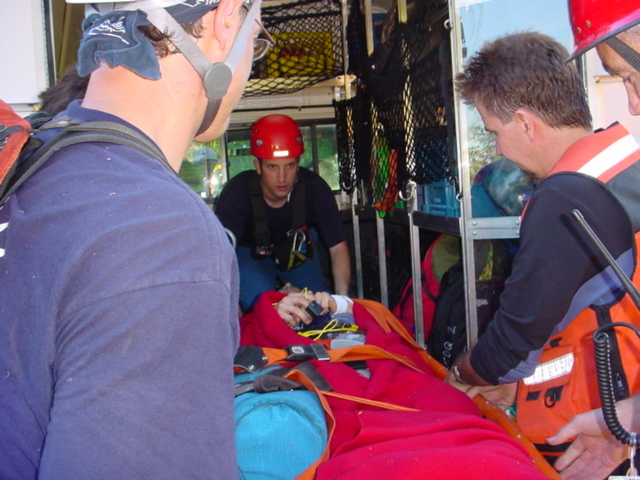 Rollie climbed in after the stretcher to provide continuity, and accompany the subject back to the rescue base where she was taken to the hospital. She contacted the team recently after heading of Rollie’s death to tell us that she still remembers him for his calmness and kindness. Rollie also took on other projects, and you would often find him at our base working on gear on the weekends, or planning terrain familiarization trips, or scenarios or other exercises. One example was a medical scenario that involved our members in training (MITs) hiking over rough terrain to rescue an actor pretending to be injured, carrying them in a stretcher, and then transporting them by boat — all in the same scenario. Just a few weeks ago, he was busy in our gear room putting two new rescue stretchers into service over Christmas. Because Rollie was always planning trips and exercises he had more than his fair share of incidents with team equipment. On a large SAR team, something is always breaking, and with Rollie the thing that always broke was the team’s eight wheel drive “Argo” all terrain vehicle. 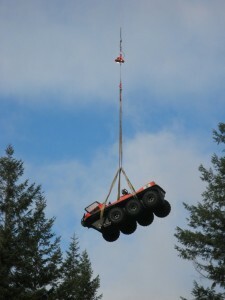 A few years back it broke while it was on a terrain familiarization drill on Burke mountain, and we had to helicopter it out. Another search I vividly remember was the Theta Lake task on Mount Seymour. Again, we were assisting North Shore Rescue to evacuate an injured subject who had already spent one night in a snow cave with two NSR members. Rollie came to me and said they were putting together a team to go in and they had to be ready to spend the night, he asked me if I was prepared to do so. I considered what I had with me, and my work and other commitments, and I baulked and said no, I couldn’t do it. I know now that Rollie was no better prepared than I was! He went on to spend a miserable night out with the subject and other SAR members, and came out late the next day under his own steam. The subject of that rescue contacted me recently, and he also remembers Rollie (as he probably remembers the other SAR guys who rescued him). Because of that particular search I never leave home without my bivvy sack and overnight gear. Also because of that search, our team revamped our entire mountain rescue program, and changed a lot of the gear on our trucks, and in particular how our equipment truck is organized. Wherever we send our truck, we now send it complete with overnight equipment for up to 6 SAR members, including sleeping bags, tents, bivvy sacks, water, sleeping pads, stove and other gear. A little piece of Rollie went into that reorganization, as did his influence on many other parts of the team. Our most recent undertaking was to train 10 members of our team in long line rescue, and Rollie was one of the members selected for this training. He, along with the other members, worked hard on this project, mastered the training and were quite thrilled when we were fully certified. This took many days of training meetings, and organization and was quite a group effort. Rollie applied his typical enthusiasm to this project, making sure all of the gear was organized and ready and spending many hours making sure the medical and communications aspects of our response were ready to go. 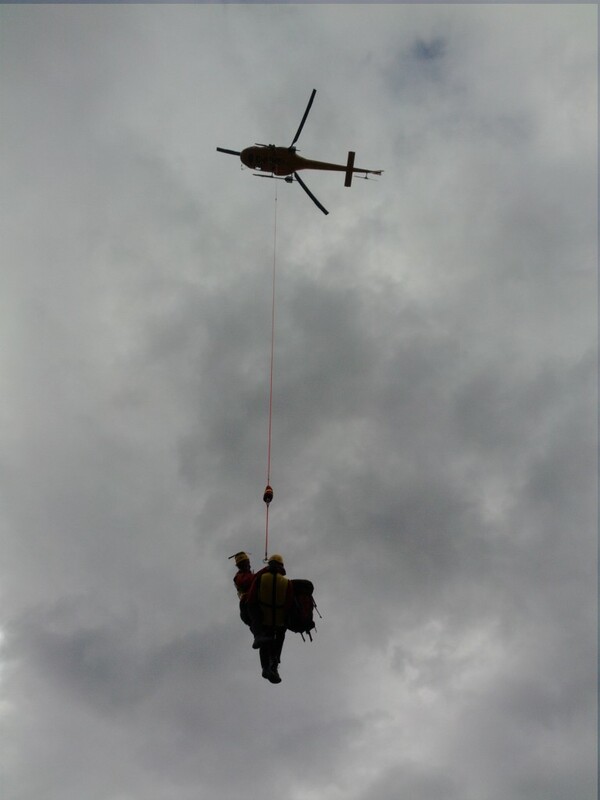 Team members have told me that being selected for this training was one of the highlights of his SAR career. As SAR members we deal with risk all the time, and in Rollie’s position as Manager of BCAS Emergency Management Office he was in charge of training, exercises and incident response and support. We train, and we plan for risk and how to manage, mitigate, and reduce the consequences of it. It’s ironic then that for someone who’s life revolved around risk management, and who took part in training and SAR tasks that are perceived as risky, would be killed in such an ordinary, but no less tragic way. On the other hand, perhaps this should tell us that it is the mundane and ordinary events of our day to day lives that carry the most risk. Aside from being SAR guys, we are people too. The team shares life events both tragic and triumphant. A few years back we remember when Rollie’s mother passed away — I remember talking to him about when my own dad died. And again, in these last two years I finally could talk to Rollie about children after having one of my own, and although I was older than him, he had two and could offer me advice because they are older –only when I asked, mind you, Rollie was no know-it-all advice giver. 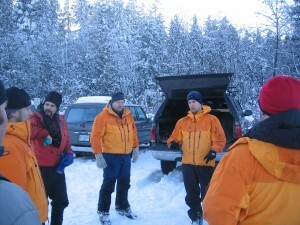 Our SAR team is a tight-knit bunch. We spend a lot of time together, sometimes in stressful situations. We experience other people’s grief when their loved ones are lost, their joy when we find them, or their tragedy when they are never found. This doesn’t make us heroes, but it does bind us together and teach us how fragile life is, and what it means to be human. Rollie understood that, and I think that’s one of the reasons he was so dedicated to SAR. My final thoughts are this; SAR volunteers are caring people. We care for others and we care for each other. Rollie became part of our family, and by his love, enthusiasm and generosity he made his mark on the team. He trained us, he worked side by side with us, and together we made a difference in people’s lives. His work made us a better team, and a more effective organization. His death leaves a huge hole in the team, but makes us all the more aware of how one person’s efforts can make a difference, and leave a lasting legacy. A part of Rollie will always be part of our team, and his work will continue as long as we do. No one set of words can describe one person, but I hope by writing thins I’ve imparted just a little of what Rollie meant to me. Note that all photos on this page are used with permission from the copyright holders, they are not covered under the copyright of this web site and should not be used without permission. Hey Mike, heard about this the other day via BCSARA. Very sorry for your loss. I know you guys have been on the minds of a lot of SAR memebers everywhere in the province and Prince George is no exception. I never got to meet Rollie being pretty new myself but everything I’ve heard or red was that he was a top notch guy. 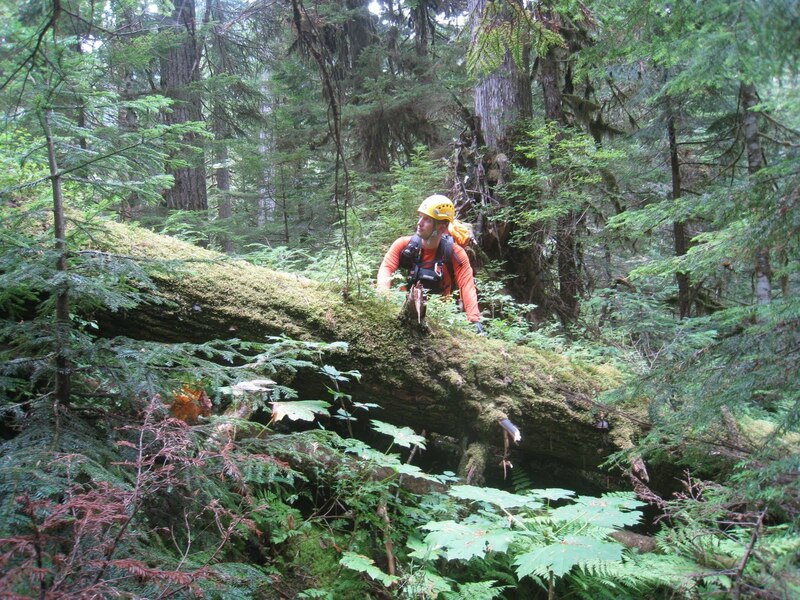 Always love working with Rollie on calls down there when i was with Coquitlam SAR. I am sorry I will not make the Service this friday or saturday. My time with Coquiltam SAR hepled show me how many great people that team has and made me proud to me a member. Rollie always made training fun and challenging. Rollie will be missed he was a good friend. Rollie will certainly be missed. Thank you for the wonderful write up. He was a good friend, and I will always remember his warmth and generosity. Thanks for the heartfelt writeup. What a fine, fine way to remember a great guy. Hope to see you at SARScene so we can raise a glass to him together. Thank you. To have known such an amazing person and see just how many lives he touched is humbling. This is such a fitting tribute to a friend and colleague, he is deeply missed. Some very touching and sincere comments Mike. I didn’t know Rollie well, but on the few occasions we met it was obvious what a good person he was. I was devastated to hear the news last Thursday and it made me think how precious life is and how it can be taken away in an instance. I’ll be at the funeral to say goodbye to a fellow SAR volunteer who dedicated so much of his life to helping others. It makes me very proud to belong to such a caring and dedicated family of SAR volunteers.